“The process that everyone went through, and the sense of history, togetherness, and belonging, that it engendered was probably as important as the output itself. The notion of bringing history, and hip-hop together was innovative, and helped to present the stories and ideas in a modern, and engaging way. On May 16th a Finale event was arranged at the Club rooms which showcased the material from the project…” (Derby News). Cizz. Photograph by Tony Fisher. 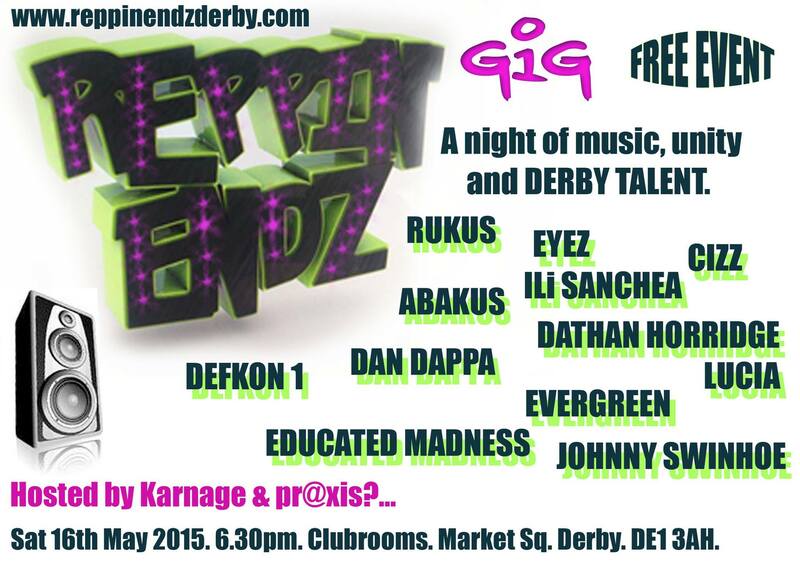 On Sat 16th May 2015 we had our finale event at Derby Live Club Rooms! Music, memories, and a chance for people to view the work created. We watched a film about each park with music, samples of the interviews and photography. We talked about memories, collecting hidden stories, and including the memories of young people. Rachael from Impact Derby came down with the young people taking part in their Heritage Lottery Funded project ‘The Journey’ to talk about the memories they were collecting and Tony Fisher Derby based photographer came down as well. 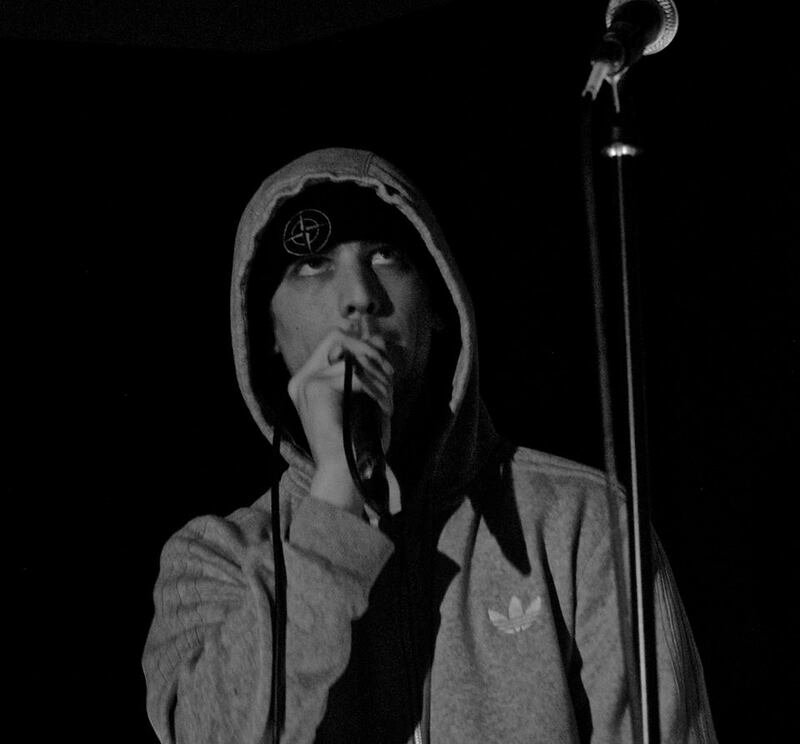 We had a free gig with incredible performances from established artists to those starting their music careers to celebrate the end of the project – the atmosphere and energy was fantastic. 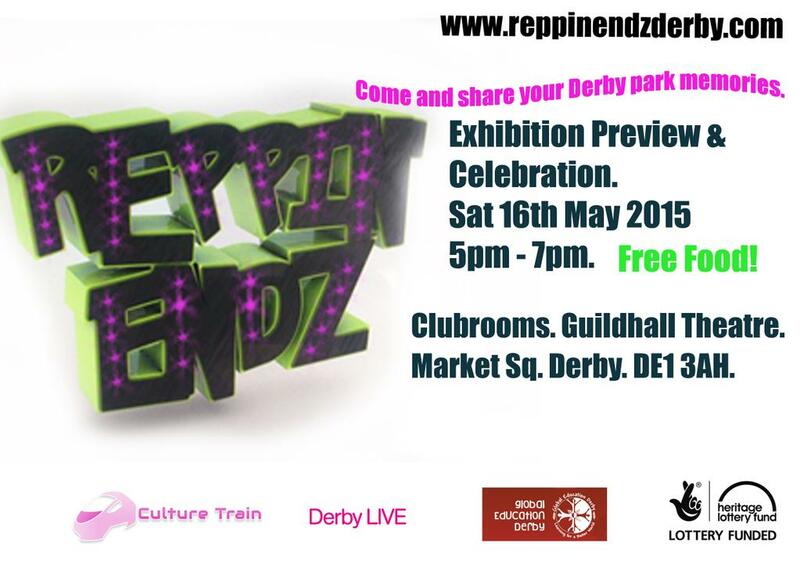 Derby News came down, photographed the event, and have written an amazing piece which you can read here. Huge thanks to them. And thanks to everyone who came to the event and took part in the project! Updates, photos of the event will be on our Celebration page soon!